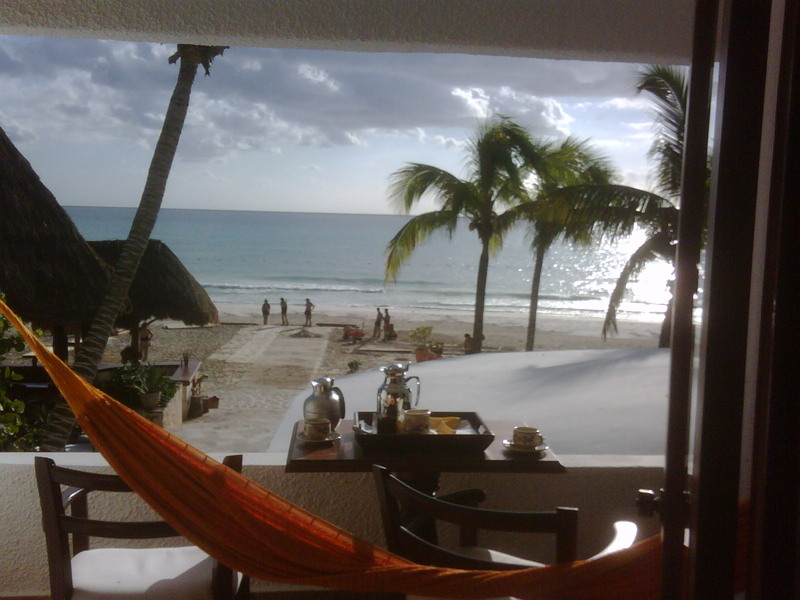 This is the view from my room at Maroma. Very pretty! Its actually a wonderful place to have a vacation. The service is good, the beach is beautiful and its not overcrowded at this hotel. Lots of space which is good. The hotel next door, down the beach is called Secrets in Riviera Maya. The same beautiful beach, but a younger crowd and an incredible value ($200 a couple) with all 3 meals and drinks included.